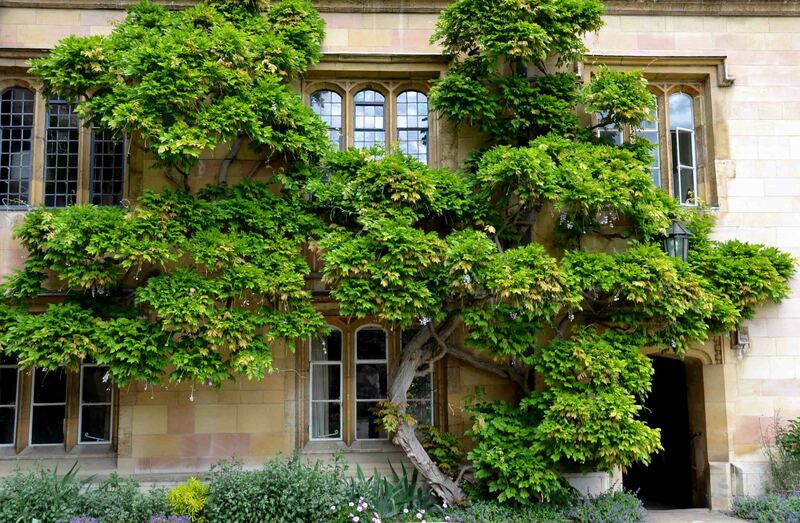 The tree adorns student’s dorms in Cambridge, England. I like how they bonzied the tree to allow light into the windows. He he! Yes a bit like that!